The Violin making workshops are extremely popular at Halsway Manor. Some of the participants have been coming back year after year. 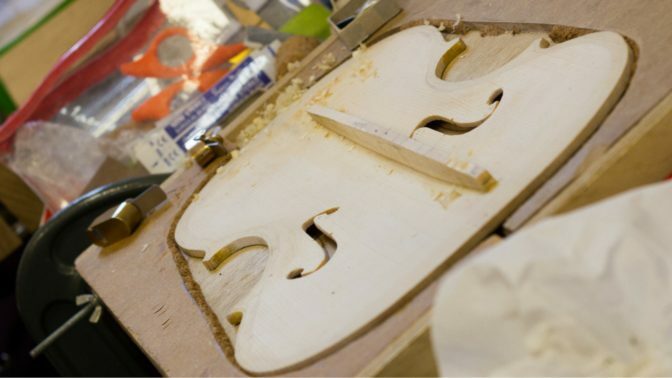 The workshop gives maximum continuous time at the workbench supported by Neville Gardner, who has been teaching violin making for the last sixteen years. He is joined by Corrie Schrijver to ensure that there is a ratio of 1 tutor to no more than 5 participants giving plenty of patient and knowledgeable support. Arrive in time for lunch (1pm) on Monday; depart after lunch on Friday.